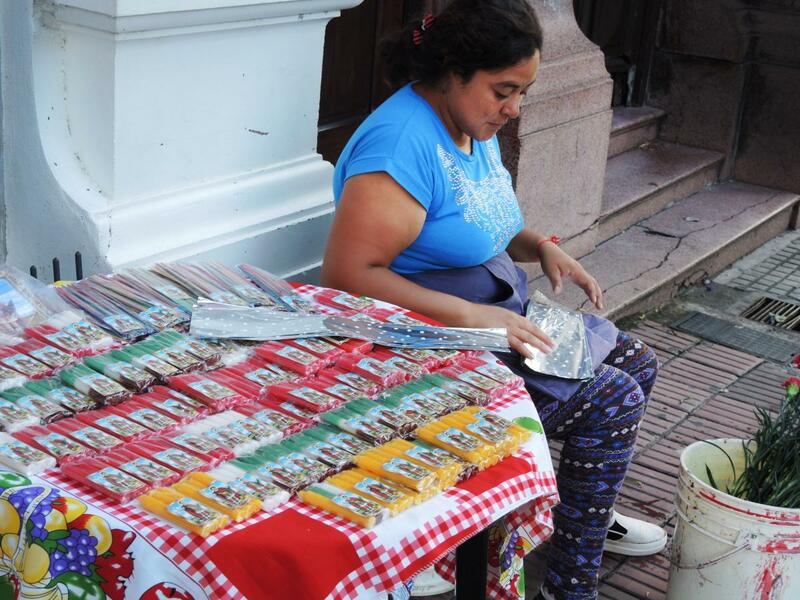 Marian devotion is central to Argentine Catholic life, but among the poor in particular, another saint, San Expedito, can at times appear to attract equal devotion and trust. 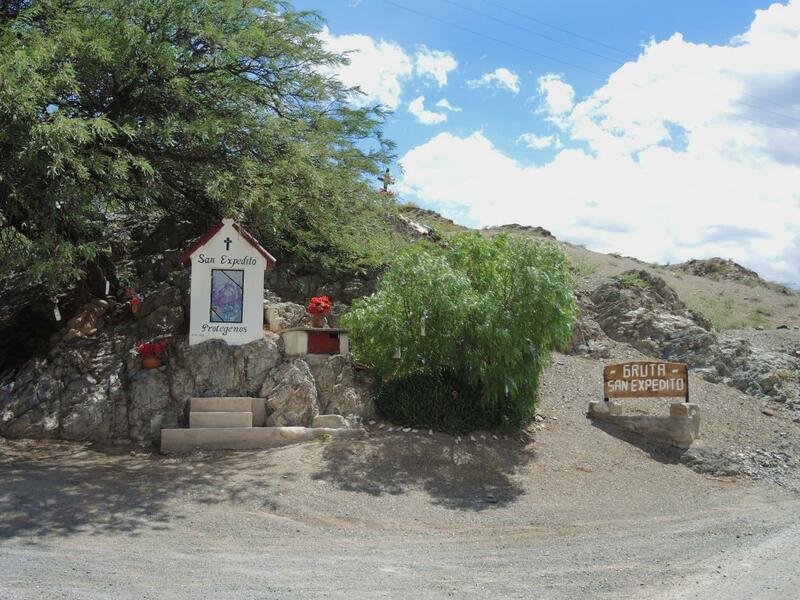 Very few Catholics in most parts of the world have ever heard of San Expedito,1 but in much of northern Argentina, the Armenian-born, Roman soldier-martyr stands out as one of the most popular saints for poor people. His shrines can be found in public parks, in stores, at specially-built roadside shrines, and in homes. His appeal as a saint is linked to the fact that he is counted on for doing things quickly, particularly for those in dire need. 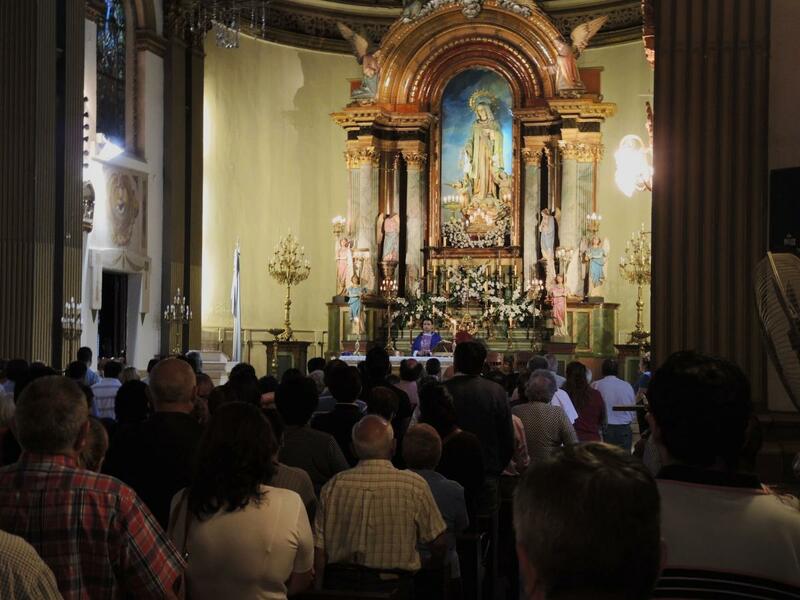 In San Miguel de Tucumán, Argentina, devotion to San Expedito has turned one parish, actually dedicated to the Immaculate Heart of Mary, into a landmark. 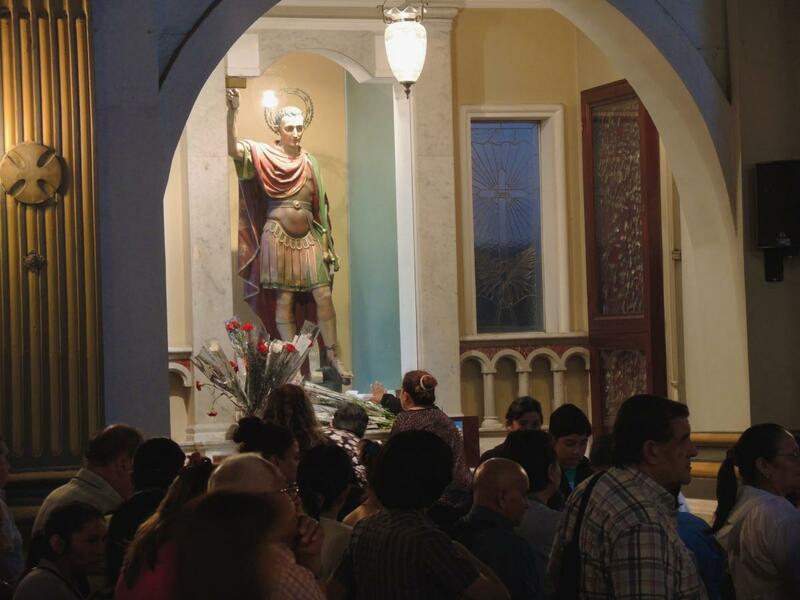 San Expedito’s feast is on April 19, but here he is venerated on the 19th of every month, when devotees line the sidewalk half way around the block to visit the saint’s statue. 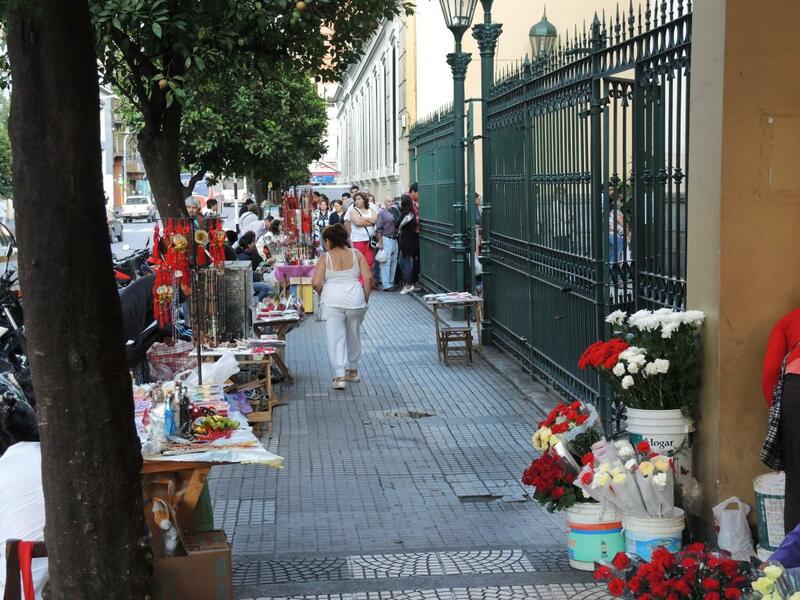 Vendors also line the streets selling carnations to leave at the statue, or candles statues and other religious goods to bring home. The parish holds eight daily Masses on those days, during which visitors move through the side aisles to stop and leave a prayer and an offering to the saint. 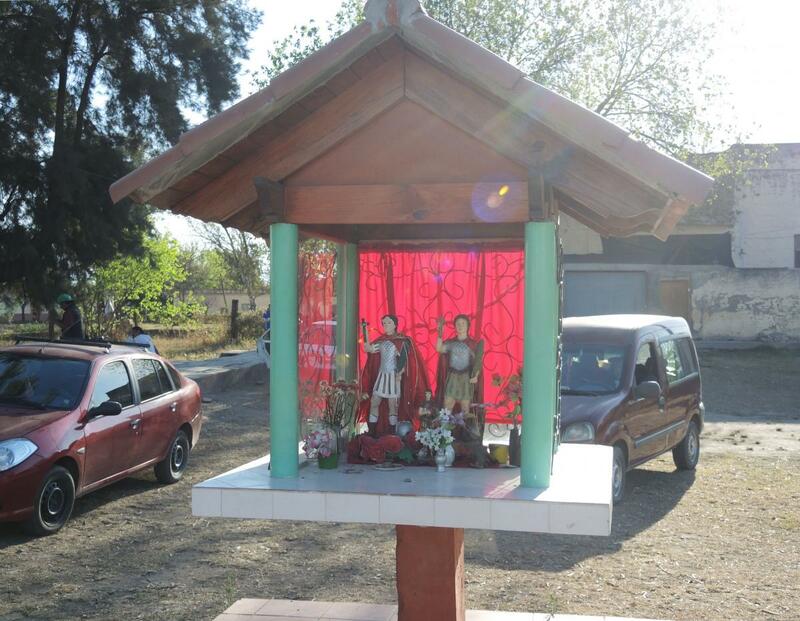 While shrines in the home and along roadways are common, in Tucumán, the visit to this parish and San Expedito's statue is important, and the hours-long wait in line is itself a sign of true devotion. 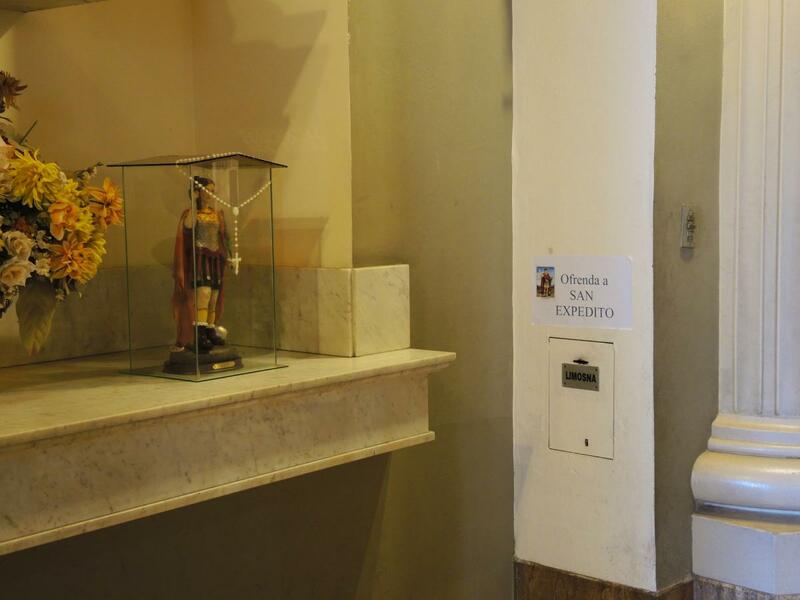 Middle class and well-off Argentinians often dismiss devotion to San Expedito as a kind of superstition. His devotees among the poor seemed aware of this class distinction. Interviews with devotees waiting in line to see San Expedito at the church in Tucumán on March 19, 2015 suggested a variety of things.2 Several people indicated that devotion to San Expedito was passed down from their mothers, but others heard of it by word of mouth or noticed the lines one day to get into the church. One spoke of a real sense of hopelessness over events in life, and many spoke of specific needs that had brought them there, noting that it was often the financial fragility of poor people that brought them to San Expedito. All indicated that San Expedito had come through for them. 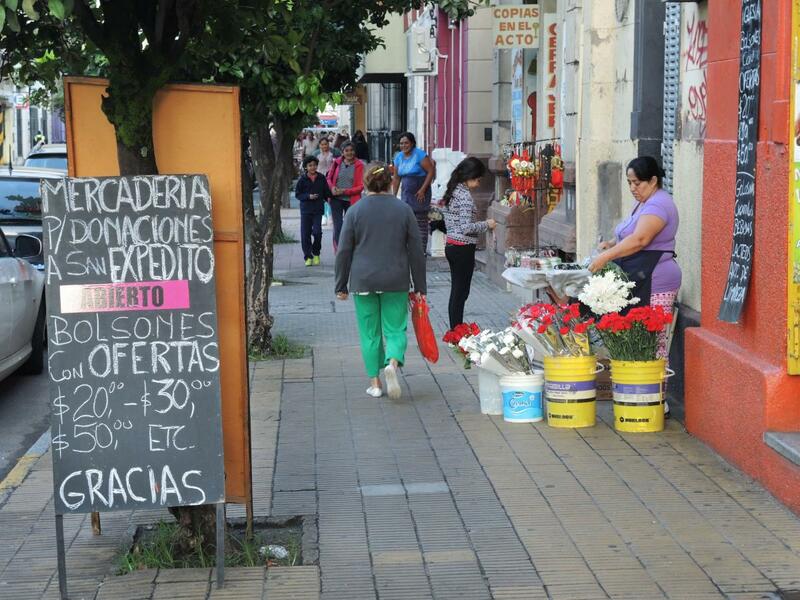 They said they wanted to be there to give thanks as well, and made sure that they came regularly for that reason. 1. 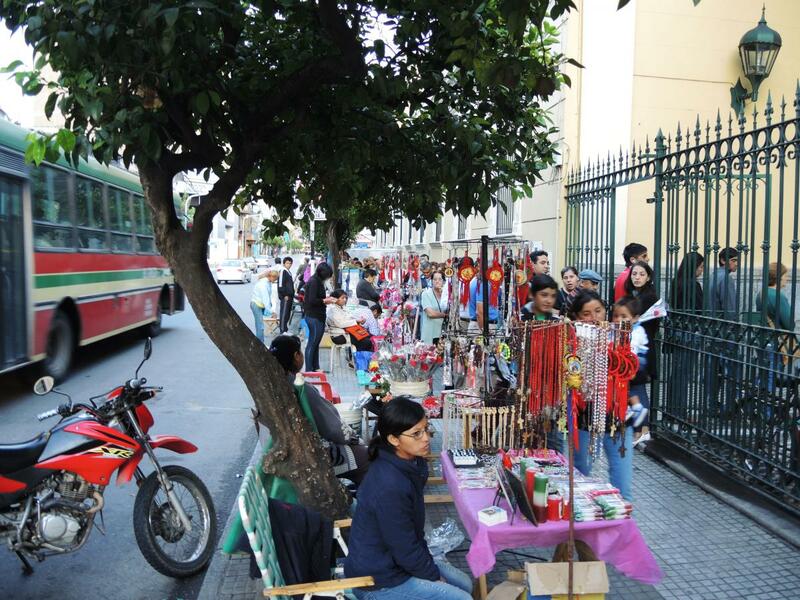 San Expedito can sometimes be seen in popular settings around Valparaiso, Chile, and in the Caribbean. 2. 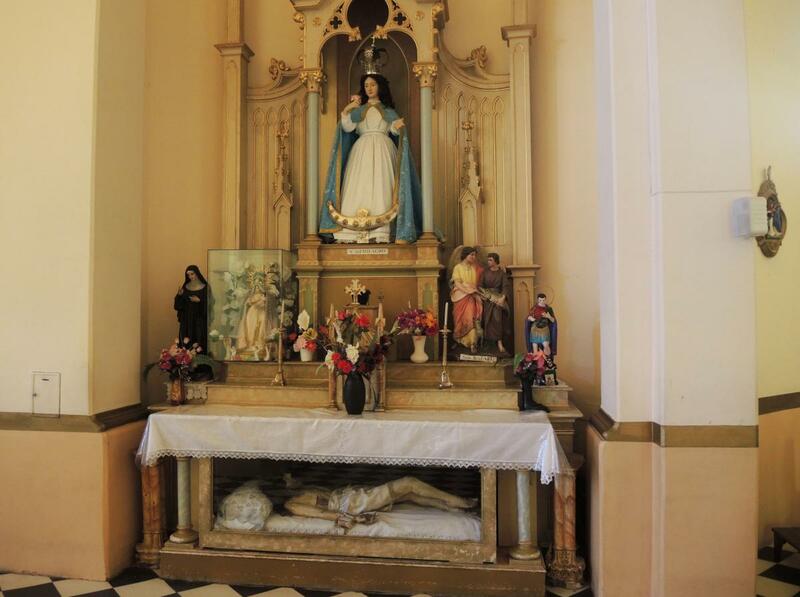 Interviews with six visitors to the shrine were conducted in Spanish by Paul Hernandez in March 2015.